I am so excited to be using Echigo Farm’s edamame tomorrow during one of the three cooking demos at the Greater Springfield Farmers Market. I met Mark, his wife Kumiko and their beautiful children more than a year ago at the Christian County Farmers Market. When I saw they had edamame for sell at their vendor stall…I was impressed. 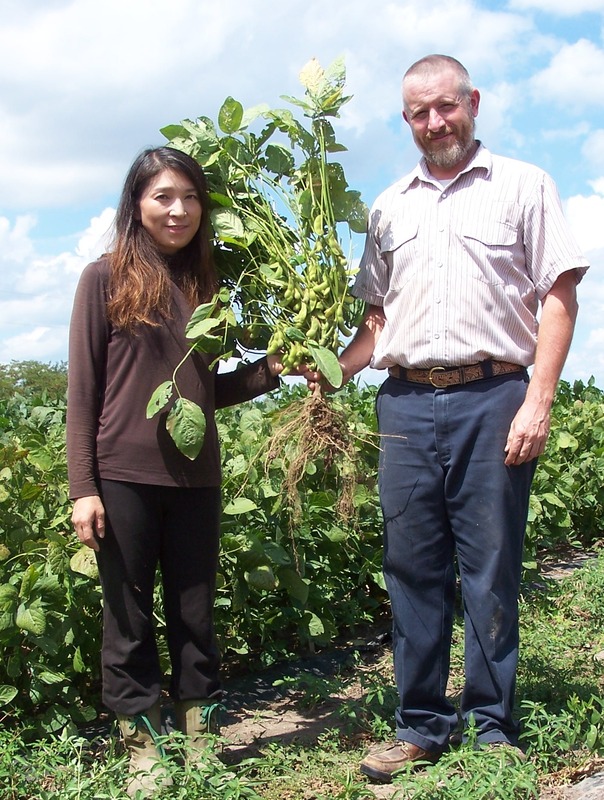 But, as I learned more about their farm and all the beautiful Japanese variety vegetables they also grew, I knew they were going to make a SPLASH with Ozarks’ consumers. This organic farm sells products at a variety of outlets- learn more on their blog or Facebook page. My son loves to snack on edamame and for all your mothers out there- edamame packs a healthy nutritional punch you can feel good about! 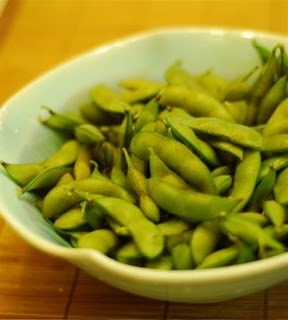 Below is a recipe incorporating edamame, from the farm itself. I will be demonstrating this recipe at the market on Saturday, July 9. Come out and sample edamame and my sweet corn and tomato dishes. Snip off both ends of the edamame pods, and wash them quickly in cold water. Cut the pepper in half lengthwise; remove and dispose of the seeds. Heat the oil and lightly sauté the pepper. Add the edamame and coat thoroughly in the pepper oil. Add the soy sauce, sugar, and 1/3 cup water. Cover and cook on low flame for about 15 minutes, stirring occasionally. Point: The sauce cooks inside the pod–it’s delicious when enjoyed together with the beans! You can leave out the pepper for a mild version of the recipe.